It's not that we want the pink hair trend to die. We don't. We like it. In fact, Wellness Editor Victoria Hoff recently tried it out for size, and the entire Byrdie team proceeded to fawn over her fresh rose gold–tinted strands. It's more the fact pink hair has been an ongoing trend for years now. And typically, anything with the potential to veer whimsical or overly precious burns bright for a season or two before it's promptly stomped out as if someone shouted stop, drop, and roll. However, pink hair has proven to be fascinatingly resilient, ebbing and flowing in popularity, yes, but omnipresent all the same. Alas, despite the fact pink hair has had a lengthier moment than we anticipated, recently, its popularity has reached an unprecedented fervor, seemingly spreading from celebrity to celebrity on our feeds like a flamenco-inspired wildfire. So we did what any beauty enthusiast would do and gathered our sources to find out which tints (because most of them are, indeed, temporary tints) our favorite celebrities are using. And for the most part, we were successful. (And when we weren't, we researched which products would gift the most similar results.) Ready to play with pink? Keep reading for our top five favorite celebrities with pink hair right now and which products they used to achieve it. Katy Perry is one of Hollywood's most famous hair chameleons, and most recently, she's held us privy to a jarring (yet admirable) series of twists and turns concerning her strands. First, she chopped them all off, and then she bleached them (and twinned with Cara Delevingne), and most recently, she turned them a luscious shade of bubblegum pink. And, lucky for us, we received the exclusive details regarding the change-up from her personal hairstylist, Rick Henry. 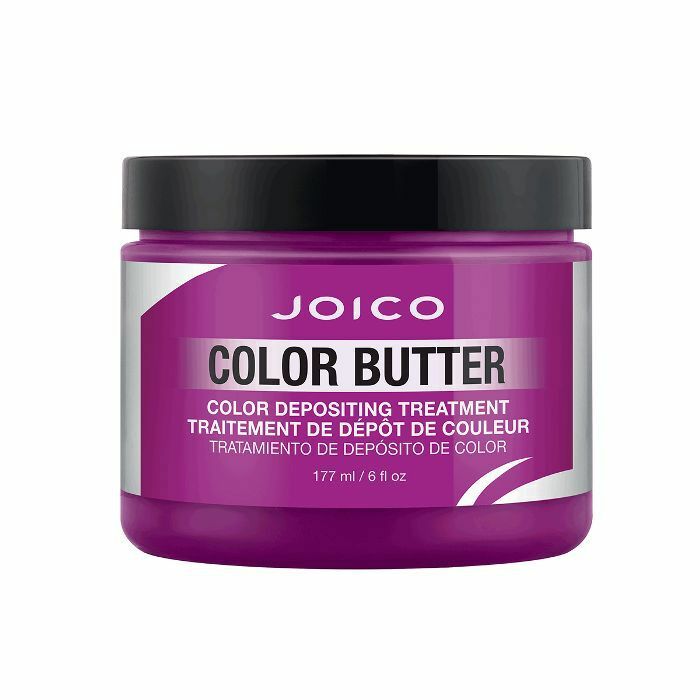 "Joico's line of Color Butters is very easy to use," Henry explains. "Plus, being that Katy was already blonde, the entire process from start to finish only took about 30 minutes." 1. Mix 1/4 ounces of Joico's Color Butter in Pink with 2 ounces of Joico's Blonde Life Conditioner ($19) Tip: diluting with a healthy conditioner provides a softer pastel color payoff. 2. Apply the mixture evenly to clean, wet hair, let it sit for 10 minutes, and then rinse. 2. After it's been evenly distributed to your liking, let it sit in the hair for one to two minutes before rinsing it out and following it up with your favorite hair mask for maximum shine. Victoria's Secret model Elsa Hosk is known for her baby blonde strands, but in mid-April, she took Instagram by storm and debuted a fresh pink look. Her exact words: "Pink hair, don't care." And although we aren't sure exactly what products she used to achieve her sherbert-y hue of rose, she easily could have reached for IGK's Girls Club Color Spray. The color is temporary (like Hosk's), but it's easy to build and blend into the hair for a flattering result that doesn't look unnaturally opaque. 1. Shake the can well, and spray directly onto dry, pre-styled hair. 2. If you want more dimension, you can create a highlighted look by applying it in sections, or for an ombré vibe, spritz it right onto your ends. Combing the product through post-application will soften the look. Unfortunately, Hudgens's option isn't one we can achieve at home since it's a professional system you'll have to request at the salon. That being said, it's extremely exciting and innovative in that it's the first line to offer the same gorgeous shades in three different color technologies—demi, semi, and permanent. So come June, run, don't walk to your go-to colorist! As with Hosk, we're not entirely positive which tint model Hailey Baldwin used to achieve her fresh rosy strands. However, we did notice a striking resemblance between Baldwin's look and our own Victoria Hoff's rose-gold tresses from a few months ago. And as it so happens, we know all her hair secrets and the exact product she credits for the enchanting outcome. Which, again, looked very similar to Baldwin's. 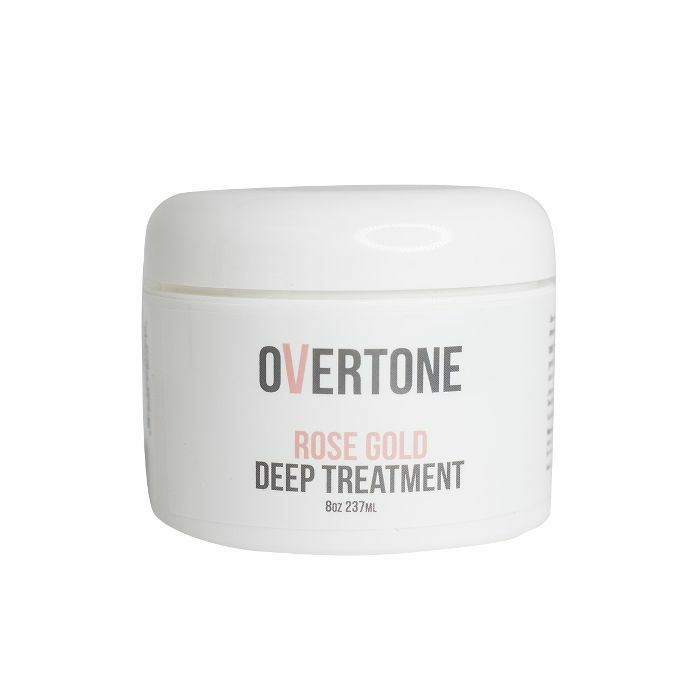 Meet Overtone, the go-to line for damage-free temporary hair color, offering a wide span of colors and including, of course, various hues of pink. In fact, their Rose Gold Deep Treatment (shown below) was so popular that it's often sold out, which in turn inspired the brand to formulate another variation specifically for brunettes. 1. Once per week, substitute the treatment in for your go-to daily conditioner and leave it in for roughly 10 minutes. Voilà! Ready for more celebrity hair inspiration by way of transformation? Check out our ever-evolving gallery of hair change-ups here.